I knew I was right to keep everything. I knew there was a use for the leftover scraps of leftover scraps of leftover socks, and I was right. Ha. 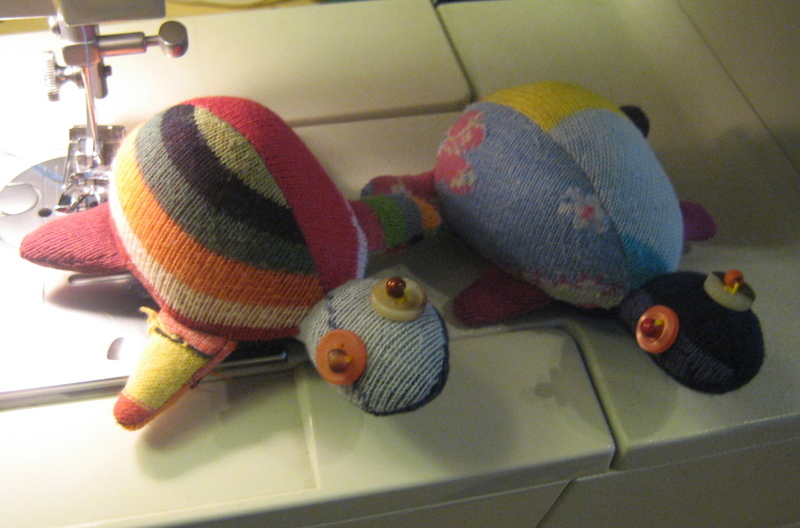 I give you… sock scrap pincushion turtles! I’ll be making a whole pile more of these in time for next week’s (yes, next week folks!) Spring Fling at the Millennium Galleries, so if you’re short of a pincushion, or a monster, then come and say hi.